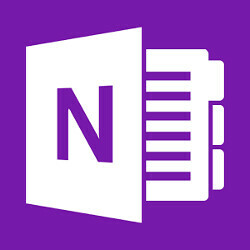 Microsoft has quietly released another OneNote app for Android. The new version includes some of the changes that were announced last month and delivered to Windows 10 users about two weeks ago. The first thing you'll notice is the updated design, specifically thought to simplify navigation controls and enhance usability for users who take advantage of assistive technology. Moreover, the update adds a new feature called OneNote Web Clipper, which will allow users to save the web to OneNote and access it anywhere. You'll just need to tap on the Share option in the browser, and use the OneNote Web Clipper to clip websites, articles, recipes, and more. Lastly, a fair share of bug fixes and performance improvements have been implemented as well, but details on any of these are scarce. The new OneNote for Android is now available for download via Google Play, so it will require you to update it to benefit from the new changes.